We are a famous manufacturer of the wide assortment of Carbon Steel Pipe and Tube Fittings. These products are appreciated amongst our customers owing to their robustness and crack resistance. We, Jain Steel from 2008 are one of the famous manufacturers an extensive array of Carbon Steel Pipe and Tube Fittings. 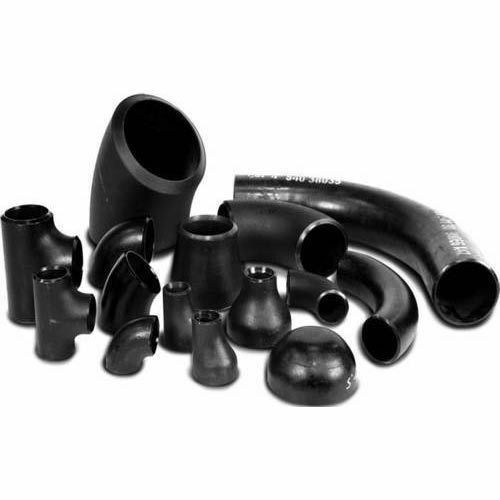 Our offered range consists of best grade Carbon Steel Fittings, Carbon Steel Pipe Fittings, and Carbon Steel Tube. These products are designed with the use of best quality materials. Our products are appreciated for their features like longer life, easy to use, sturdy designs, many sizes available, and crack free nature. Additionally, as per the diverse needs of the patrons, these products are also available in both standards as well as in modified options. We are supported by a spacious infrastructure facility. We have installed highly advanced tools and machinery in our manufacturing unit. Also, we are divided into different teams that take care of all the processes of designing, manufacture, quality check, and control. In addition to this, the proficiency of all our teams and their business endeavors help us in bringing out a range of excellent quality products. Our mentor Mr. Manoj Bokadia has guided us to be able to reach such heights. His ability to understand ongoing market trends, managerial skills and ability to make good decisions, has been our most valuable asset to grow rapidly.